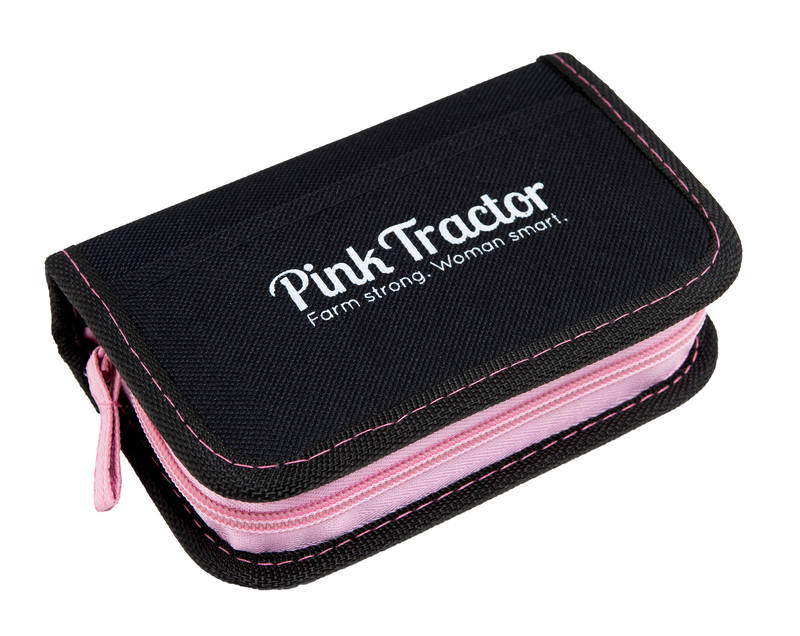 Compact and efficient, this 22 piece set has the essentials. 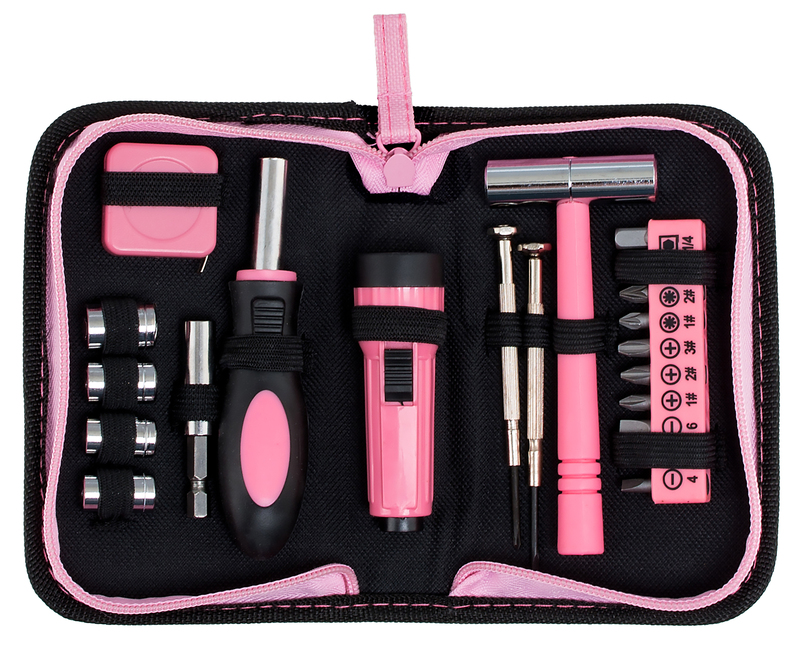 Includes 9 bits with adapter, bit fastener, hammer, Phillips and flat head mini drivers, flashlight, screw driver handle and adaptor for bits, 5 sockets, (7-10mm), tape measure all in a convenient made of 600 Denier Polyester zippered case. Size: 6" H x 4" W x 1" L.